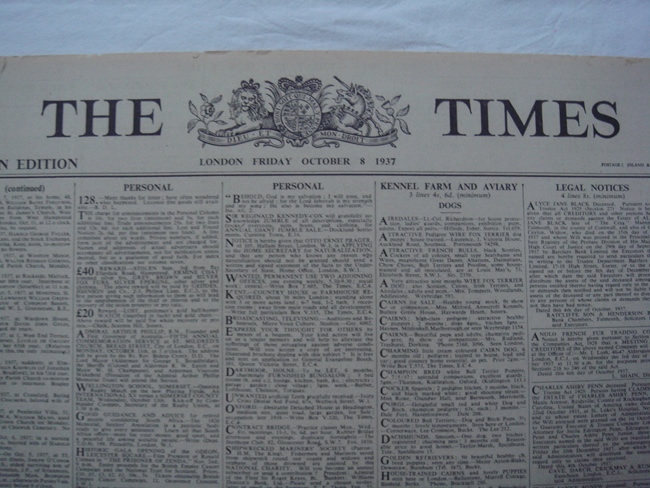 #PC000001 - The London Times from October 8, 1937 - € 890.00 Includes one of the earliest reviews of Tolkien's book the Hobbit written by Tolkien's friend C.S. Lewis, the author of the Chronicles of Narnia. 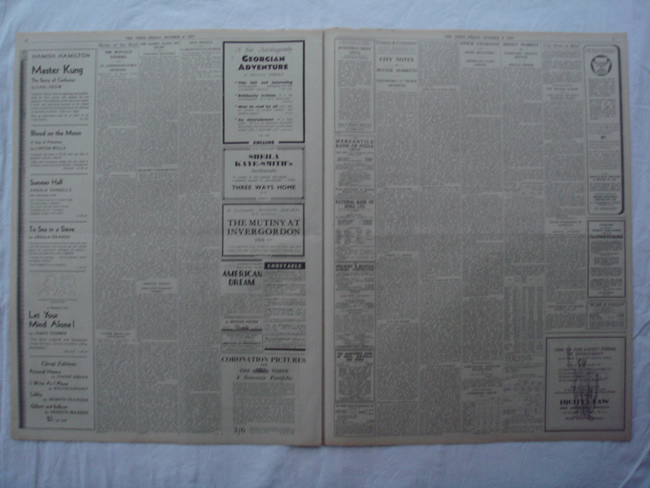 Includes one of the earliest reviews of Tolkien's book the Hobbit written by Tolkien's friend C.S. Lewis, the author of the Chronicles of Narnia. "Shorter Notices: Professor Tolkien's 'Hobbit'" Review of J. R. R. Tolkien's The Hobbit. 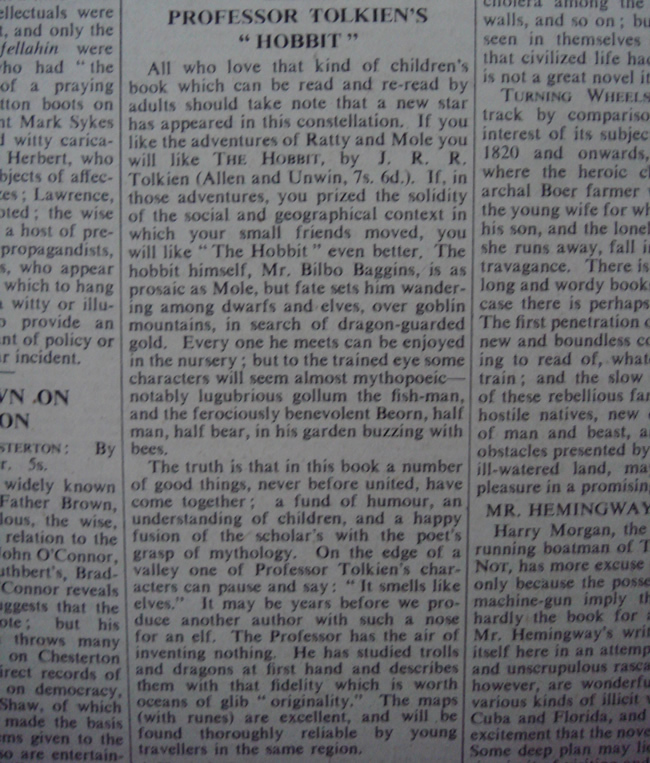 Review of J. R. R. Tolkien's The Hobbit or There and Back Again on page 20 in centre column. This review was later identified as having been written by C. S. Lewis. Considered as one of the very first pieces of scholarly criticism of Tolkien's work published. 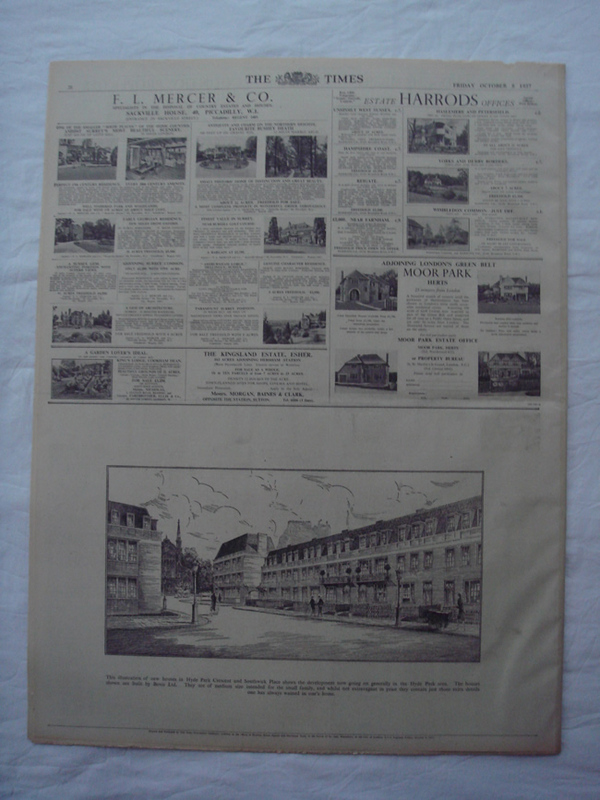 Very light age toning, almost mint condition, small damages on top edge of newspaper. 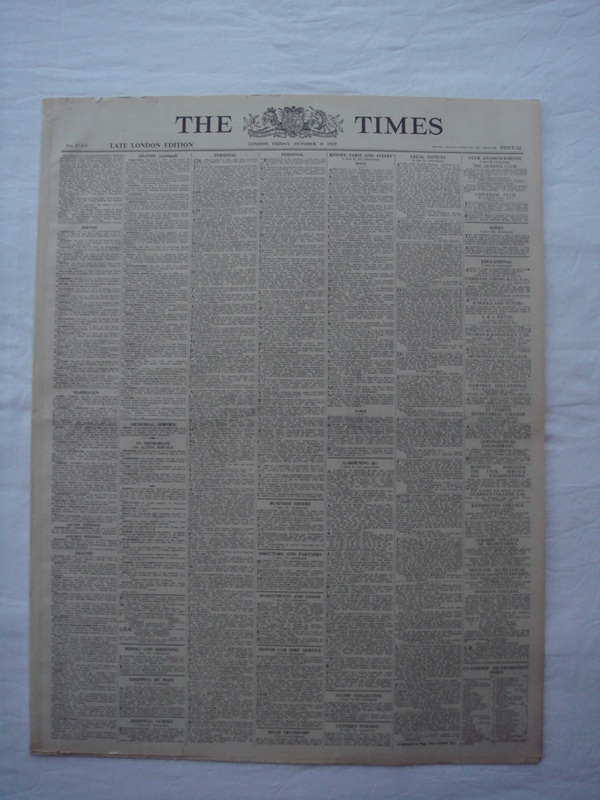 A very rare Tolkien memorabilia especially in this perfect condition.